Hon. Shira A. Scheindlin was appointed by President Bill Clinton as a Federal Judge of the United States District Court for the Southern District of New York and served for 22 years. Judge Scheindlin also served in the mid-70s as Chief Administrative United States Attorney and Deputy Chief of the Economic Crimes Unit in the United States Attorney’s Office for the Eastern District of New York. She left to become the General Counsel of an agency of the City of New York. She then returned to that Court as a Magistrate Judge for five years, followed by eight years in practice as a partner at two large New York City law firms representing clients in commercial litigation and products liability cases, in both state and federal court. Her experience acquired in over four decades of private practice and on the bench makes her exceptionally well-qualified to assist parties and their counsel in resolving disputes through arbitration or mediation. Judge Scheindlin left the bench in May 2016. In the following two years she has arbitrated and mediated a number of cases, has heard mock arguments in several high profile cases, has served as an expert witness, and has been appointed as a Special Master by the federal court in Manhattan on two occasions. A large commercial/bankruptcy case in which a portion of a group of Secured Lenders, signatories to certain Credit Documents, sought millions of dollars claiming that they were not allocated a fair share of the proceeds of the Collateral that secured the Loan following a sale of assets under section 363 of the Bankruptcy Code. A commercial transaction between two pharmaceutical companies with one claiming that a stream of payments (totaling millions of dollars) continued to be owed to the other based on an asset purchase agreement, despite the lack of success of the product. A catastrophic accident in which plaintiffs claimed they were injured as a result of a battery defect in a computer manufactured by a major computer manufacturer. A cybersecurity issues in the loss of funds by an investor in a cryptocurrency exchange. An attorneys’ fees dispute among successful plaintiffs’ counsel in a shareholders derivative action against a very large pharmaceutical company. Judge Scheindlin has also mediated a number of very large cases including insurance coverage disputes, RMBS fraud litigation by investors against a major bank, intellectual property disputes and employment disputes. She has also handled a number of general commercial disputes, real estate disputes, and one construction dispute. Most reached a successful outcome. 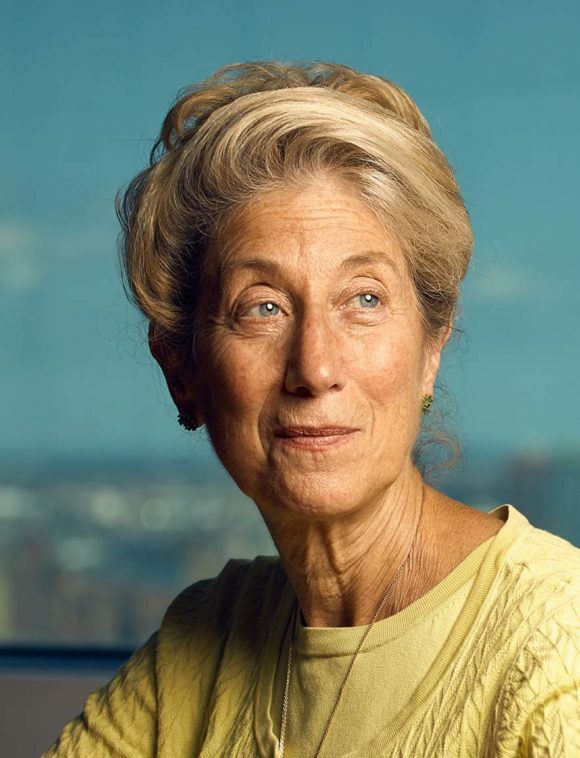 As for mock arguments, Judge Scheindlin sat on an appellate argument regarding a dispute between various insureds and their insurers regarding scope of coverage and tiers of coverage; a trial court argument regarding a very large antitrust case against a major computer component manufacturer; and a LIBOR-related matter against a major U.S. bank. Judge Scheindlin is now a special master in a securities fraud case pending in the Southern District of New York and in another such case that has already settled but disputes regarding claim entitlement remain to be resolved. Finally, Judge Scheindlin has served as an expert witness on issues of U.S. law in two cases involving very large U.S. technology companies. Carpenters Pension Trust Fund of St. Louis v. Barclays PLC: In a securities fraud class action, Judge Scheindlin issued two decisions granting the plaintiffs’ motion for class certification, holding that plaintiffs were entitled to rely on the fraud-on-the-market presumption that satisfies Rule 23’s predominance requirement. This ruling was affirmed by the Second Circuit in a landmark decision regarding the application of the well-known Cammer factors holding that an event study not necessarily required in every case. SEC v. Wyly (“Wyly I-IV”): In an SEC civil enforcement action, Judge Scheindlin held that the SEC could only seek civil penalties against the Wylys for alleged securities violation spanning 13 years for conduct occurring no more than five years before the Wylys signed a tolling agreement. After a six week trial, the Court ultimately found the Wylys liable for nine securities violations and ruled, in an issue of first impression, that the SEC could seek disgorgement in an amount equivalent to the taxes the defendants avoided paying. GAMCO Investors, Inc., v. Vivendi, S.A.; In re Vivendi Universal, S.A. Sec. Litig. : In Vivendi, a securities fraud class action, Judge Scheindlin presided over a lengthy jury trial which resulted in a significant verdict for investors. In Gamco, Judge Scheindlin held that Vivendi successfully rebutted the investors’ presumption of reliance on misstatements by showing that the investors would have transacted in securities notwithstanding any inflation in the market price caused by fraud. Both cases were affirmed in the Second Circuit. The Pension Comm. of the Univ. of Montreal Pension Plan v. Back of Am. Sec., LLC. : In this case, investors sued fund administrators and officers, seeking to recover losses stemming from liquidation of two British Virgin Islands (BVI) based hedge funds in which they held shares. The case involved claims under the Securities Act, the Exchange Act, and various common law claims under New York law. In re: Initial Public Offering Sec. Litig. : In the investors’ suits against underwriters of initial public offerings, Judge Scheindlin granted the plaintiffs’ motion for an Order of Final Approval of the Settlement, Plan of Allocation, and Class Certification. She awarded Plaintiffs’ counsel fees and reimbursement of expenses totaling over $46 million. In re Optimal U.S. Litig. : Judge Scheindlin dismissed securities fraud claims brought by a putative class of investors in Optimal, an investment fund that invested 100% of its assets with Bernie Madoff and his firm. Judge Scheindlin had issued an Order to Show Cause why the plaintiffs’ securities law claims should not be dismissed in light of the Second Circuit’s decision in Absolute Activist Value Master Fund, Ltd. v. Ficeto, which clarified the scope of extraterritorial application of the Securities Exchange Act after the Supreme Court’s decision in Morrison v. National Australia Bank. Monroe Cnty. Employees’ Retirement Sys. v. YPF Sociedad Anonima: Judge Scheindlin dismissed a putative class action against an Argentinian energy company, its underwriters and executives, alleging violations of the Securities Act and Exchange Act. Judge Scheindlin held that the Securities Act claims were untimely, and the Exchange Act claims failed to adequately allege material misrepresentations or omissions, scienter, loss causation and reliance. Verint Systems Inc. v. Red Box Recorders Ltd.: Judge Scheindlin issued a complex Markman decision in a case where an analytics company brought action against a competitor. Issues at stake included infringement of patents and counterclaims of noninfringement and invalidity. Katiroll Company v. Kati Junction Inc.: This action involved trade dress infringement and unfair competition under the Lanham Act as well as state law claims for infringement, unfair competition, breach of loyalty, breach of contract and misappropriation of trade secrets. Judge Scheindlin denied the motion to dismiss ruling that plaintiff had successfully stated claims for trade dress infringement under the Lanham Act, trademark infringement, breach of duty of loyalty, breach of contract, and misappropriation of trade secrets. Eve of Milady v. Impression Bridal, Inc.: In a copyright infringement action, Judge Scheindlin granted plaintiff bridal dress manufacturer’s motion for preliminary injunction against a competitor. Judge Scheindlin held that the competitor’s revised lace patterns as used on bridal dresses were substantially similar to plaintiff’s lace patterns as used on bridal dresses. American Stock Exchange, LLC v. Mopex, Inc.: In a patent infringement action, Judge Scheindlin held that a patent for a type of security called “exchange traded funds” (ETFs) was invalid as anticipated by a prior publication. The case also involved a complex claim construction under Markman. Luv N’ Care Ltd. v. Toys “R” Us, Inc.: This complex case involved patent infringement, trade dress infringement, and unfair competition under the Latham Act as well as unfair competition and trade dress dilution under New York Law. Judge Scheindlin dismissed plaintiffs’ claim for “contributory infringement” as vague and insufficient to state a claim under the Iqbal standard. In re Methyl Tertiary Butyl Ether (“MTBE”) Products Liability Action: This was a multidistrict litigation (MDL) where many states and municipalities sued virtually all of the major oil and gas companies. The overriding issue in these cases was the alleged contamination of groundwater based on contamination by MTBE, an additive in gasoline meant to reduce toxic emissions. Judge Scheindlin supervised this MDL for more than a decade issuing dozens of groundbreaking opinions. After a jury trial where the City of New York was awarded a $105 million judgment against Exxon Mobil, Judge Scheindlin ruled that Exxon Mobil should not be liable for punitive damages because it had not recklessly disregarded the risks posed by MTBE. The Second Circuit affirmed. BG Recovery Litigation I, LLC v. Barrick Gold Corp. et al: In this suit shareholders opted out of a securities fraud class action and brought suit individually. Among the issues Judge Scheindlin decided were whether the company was making false statements regarding its compliance with Argentinian and Chilean environmental laws. She specifically evaluated whether the defendant’s mining operations were impacting glaciers surrounding its operations, which would be a violation of environmental regulations. Judge Scheindlin held that plaintiffs adequately pleaded material misstatements regarding defendants’ compliance with Chilean environmental regulations. Peoples v. Fischer; Peoples v. Annucci: In 2016, Judge Scheindlin approved a historic class action settlement reducing the frequency, duration and severity of solitary confinement conditions across all New York State prisons. Laumann v. NHL (Laumann I-V): Judge Scheindlin certified an injunctive class under Rule 23(b)(2) holding that class members suffered an antitrust injury with respect to broadcasts of team sports, including, but not limited to, professional hockey and baseball leagues and the regional sports networks that televised their games. After this ruling and ruling on many motions in limine, the case settled on the eve of trial. Finch v. New York State Office of Children and Family Services: Judge Scheindlin’s ruling that plaintiffs, who were subjects of indicated reports of child abuse and maltreatment possessed a protected liberty interest requiring prompt review of those allegations. The case eventually resolved in a landmark settlement that resulted in prompt administrative hearings. In re Ski Train Fire in Kaprun, Austria on November 11, 2000: Judge Scheindlin certified the first-ever “opt-in” plaintiff class outside of the Fair Labor Standards Act context. Scheindlin ruled that certifying an opt-in class was within her discretion as a matter of equity. This ruling was reversed in the Court of Appeals, although it has generated a lot of interest in scholarly journals. Floyd v. City of New York; Ligon v. City of New York: Judge Scheindlin granted the Ligon plaintiffs’ motion for a preliminary injunction in their complaint against Operation Clean Halls and ordered the NYPD to immediately cease its practice of conducting stops and frisks that were not based on reasonable suspicion of criminal conduct. After trial, the court found that the NYPD’s stop-and-frisk practices violated the Fourth Amendment and the Equal Protection Clause of the Fourteenth Amendment, ordering comprehensive remedies for both cases. Betances v. Fischer: Judge Scheindlin denied the defendant’s motion to dismiss plaintiffs’ claim that the State Department of Corrections imposed unconstitutional post-release supervision (“PRS”). The Court held that the officials’ refusal to comply with the Court of Appeals’ decision holding administrative imposition of PRS violated prisoners’ due process rights was not objectively reasonable. The New York Times Co. v. United States Dep’t of Labor: The judge ruled that the newspaper, which was seeking to compel the Occupational Safety and Health Administration to disclose data regarding injury and illness rates for 13,000 worksites, had exhausted its administrative remedies following the Department of Labor’s initial denial and that since the information the newspaper sought was not confidential information within a FOIA exemption, the DOL had to disclose the requested information. Tomka v. Seiler Corp.: A female employee brought a suit against her former employer and three male co-employees asserting claims of sexual harassment and retaliation in violation of Title VII. Judge Scheindlin, sitting by designation on the Second Circuit, held that the hostile work environment, retaliatory discharge, and unequal pay claims should not have been dismissed on summary judgment by the district court. She also held that individuals were not subject to liability under Title VII. Mullins v. City of New York: Judge Scheindlin held that the plaintiffs, police sergeants, were exempt from the Fair Labor Standards Act and were therefore entitled to recover overtime compensation. Rosenblum v. Thomson Reuters: An employee brought action against Thomson Reuters claiming retaliation, harassment and termination as a result of whistleblowing, which is claimed as “protected activity” under the Dodd Frank Act. In ruling on defendant’s motion to dismiss, Judge Scheindlin held that it was appropriate for the court to apply Chevron deference to the SEC’s interpretation of the Dodd Frank statute. Gonder v. Dollar Tree Stores: In a case involving racial discrimination and retaliation, employer sought to dismiss and to compel arbitration. Judge Scheindlin held that there was sufficient consideration to support the arbitration agreement and the employer did not waive its right to arbitrate. Zubulake v. UBS Warburg: Over the span of 15 months in 2003-2004, Judge Scheindlin issued five critical rulings in the case Zubulake v. UBS Warburg. Four of the five rulings (Zubulake I, III, IV, and V) defined requirements and/or established best practices for the e-discovery process. In Zubulake V, Judge Scheindlin imposed sanctions on the defendant as a result of the willful destruction of relevant information. Judge Scheindlin wrote that “counsel must take affirmative steps to monitor compliance” with regards to data preservation, essentially creating the mandate for proactive legal holds. Pension Comm. of the Univ. of Montreal Pension Plan v. Back of Am. Sec., LLC: In this case, the defendant moved for sanctions against plaintiffs, alleging that each plaintiff failed to preserve and produce documents, including ESI, and submitted false declarations about their document collection and preservation efforts. Judge Scheindlin held that the plaintiffs had a duty to preserve the documents upon the filing of the complaint. Grossly negligent plaintiffs were sanctioned with an adverse inference instruction, and both negligent and grossly negligent investors were subject to monetary sanctions. Sekisui Am. Corp. v. Hart: In this case, plaintiff failed to put a litigation hold in place until 15 months after it sent notice of claim to the defendant and waited another six months to notify its technology vendor to preserve relevant documents. Relying on the Second Circuit’s decision in Residential Funding, Judge Scheindlin granted the defendant’s sanctions motion, holding that an adverse inference sanction may be appropriate in cases involving the negligent destruction of evidence because each party should bear the risk of its own negligence.